Regular blog readers will have noticed that our blog went quiet in May. There were two major reasons for this: Y6 pupils had to take SATs in May and, unexpectedly, OFSTED inspectors arrived to inspect the school. Despite these interruptions to normal school life, we have been learning about Australia and finding out more. We have been gathering information from parents and friends of the school for our map which shows links between Australia and Trowbridge. It is amazing to see how many people living in Trowbridge have visited, have relatives living there, or have some other important connection. We have even found real Australians who now live here! We intend to have many more blog entries in June and July! Parents joined us at the end of the day to see our map while they enjoyed tea or coffee and lamingtons or pineapple upside down cake. Over 160 lamingtons were eaten! It was a good way to end our special day. 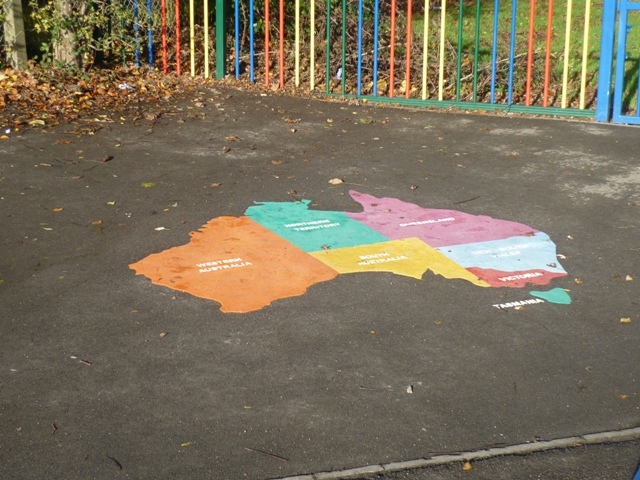 Today we created a map of Australia which we will display in our school in a special place. All pupils were involved. The classes paired up to ‘create’ a state in their own style and at the end of the day we came together in the school hall to see the effect when they were joined together. The Australia Gallery is Open! Teachers gathered after school yesterday to decide which works of art should be included in the library corridor gallery. It was a difficult job but, after a lot of thought, 34 of the 57 pieces submitted were put on display. The quality of the work was amazing! Included in the gallery are paintings, collage, models from card, papier mache models, an appliqued cushion, a work of art made from a plant, and some Joseph Cornell style boxes. 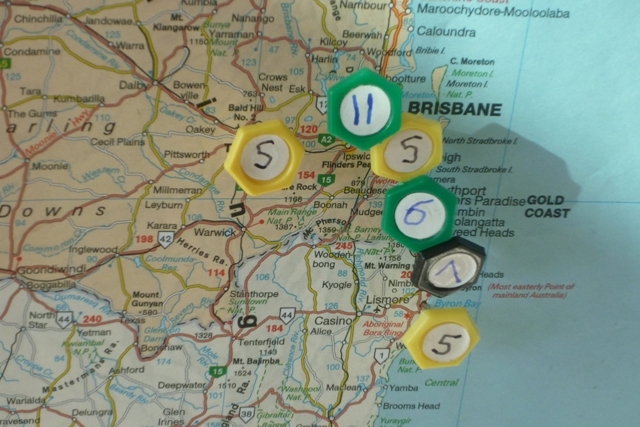 The only rule was that the outline map of Australia had to feature somewhere. On some pieces it was immediately obvious but on others you had to look closely to find the map. It was fascinating to see the different ways in which our pupils interpreted the theme. We decided not to have first, second or third prizes. I think it would be very hard to decide which of the many imaginative works of art should be awarded first prize! I also think that everyone will have a different favourite. Pupils from Nightingale, Ravel, Redgrave and Kingsley classes contributed collages they created to go on display alongside the KS2 competition entries. 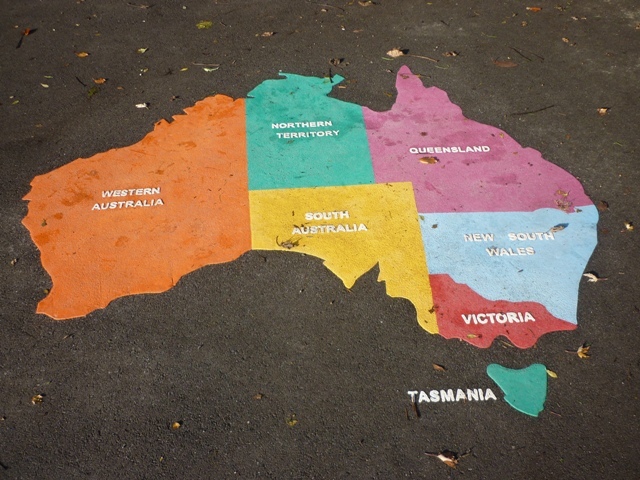 Each collage took a theme, such as animals, people or food, and was made in the shape of the map of Australia. Some of the competition entries forgot to include the map and some were not as good as they could be. These were not included. However, teachers are so pleased with the high number of entries, as well as the thought and creativity on display, that every pupil who participated will receive a special prize. Watch this blog to find out what it is! Friday 23rd September is the deadline for our Art competition. Open to all KS2 pupils, the challenge is to create a work of art with an Australian theme in any medium. 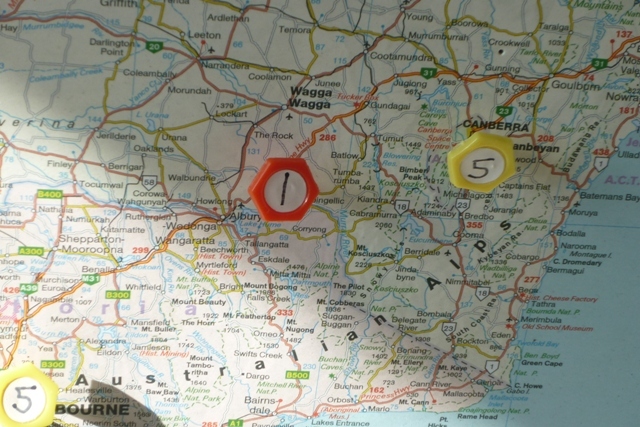 The only rule is that the outline map of Australia must be used somewhere in the piece. My office is filling up with entries!